Your Favorite ABC Comedies Are Back! ABC's Wednesday night comedies are all new this Wednesday! Get ready for the season premieres of The Goldbergs, Speechless, Modern Family and American Housewife (on a new night and time) this WEDNESDAY, SEPTEMBER 27 beginning at 8/7c. After four straight shows filled with lots of laughs, be sure to stick around for the action-packed Season 2 premiere of Designated Survivor. Check out the full breakdown of everything that's coming your way this Wednesday below! The Goldbergs: "Weird Science" – Beverly and Murray move Erica into college where her roommate is also named Erica. Later, Beverly has a hard time letting go and ends up sleeping over in the dorm, much to Erica's dismay. Meanwhile, Adam tries to give Barry the perfect girlfriend, even trying to build one like in the movie "Weird Science," as he embarks into his senior year, on the season premiere of "The Goldbergs," WEDNESDAY, SEPTEMBER 27 (8:00–8:30 p.m. EDT). Speechless: "W-E– WE'RE B-A– BACK!" – While JJ was at summer camp, Maya decided it's time the family no longer use JJ's disability as an excuse to let their lives fall through the cracks. Maya, Jimmy and Dylan make dramatic changes, but a smug Ray decides he will spend the summer watching his family likely failing at their attempts. When JJ comes home, Kenneth finds a love note in JJ's luggage from Alexa (guest star Rose Crisman), a girl he met at camp, who wants to give JJ his first kiss. 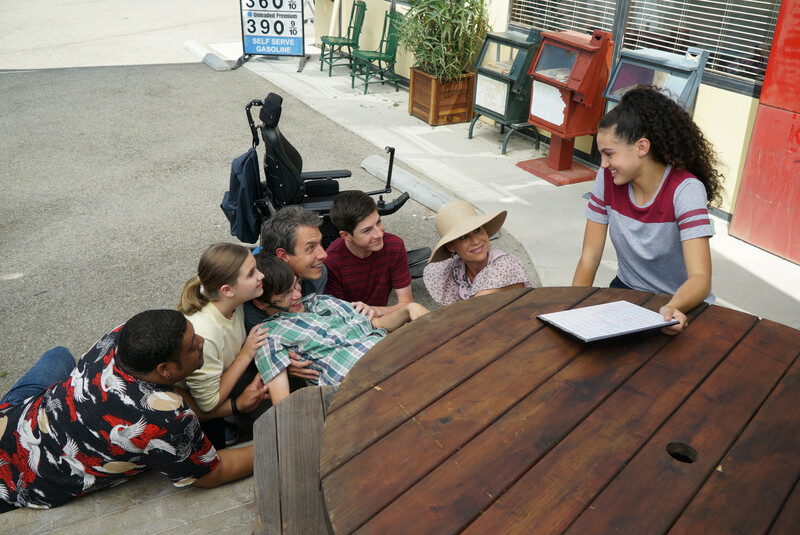 The family chucks their self-improvement projects and hits the road to find Alexa, on the season premiere of "Speechless," WEDNESDAY, SEPTEMBER 27 (8:30-9:00 p.m. EDT). 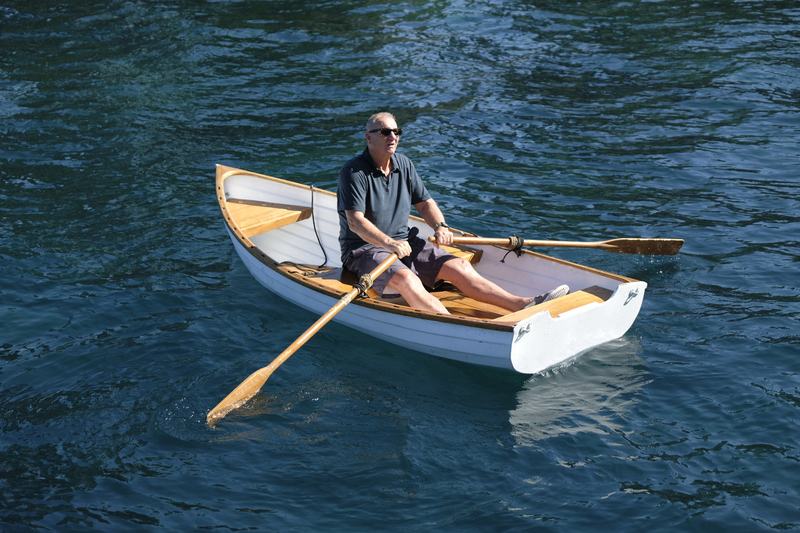 Modern Family: "Lake Life" – In the season premiere, Jay forces the family to take their family vacation on a houseboat on a lake in an effort to create memories that will last long after he's gone. Meanwhile, Mitchell runs into an old flame that opens some old wounds; Cam has to stay out of the sun at all costs; Phil and Claire try out some adventureous excursions; and the kids' quest for a good time may not be as fun as they expected. "Modern Family" premieres WEDNESDAY, SEPTEMBER 27 (9:00-9:31 p.m. EDT). 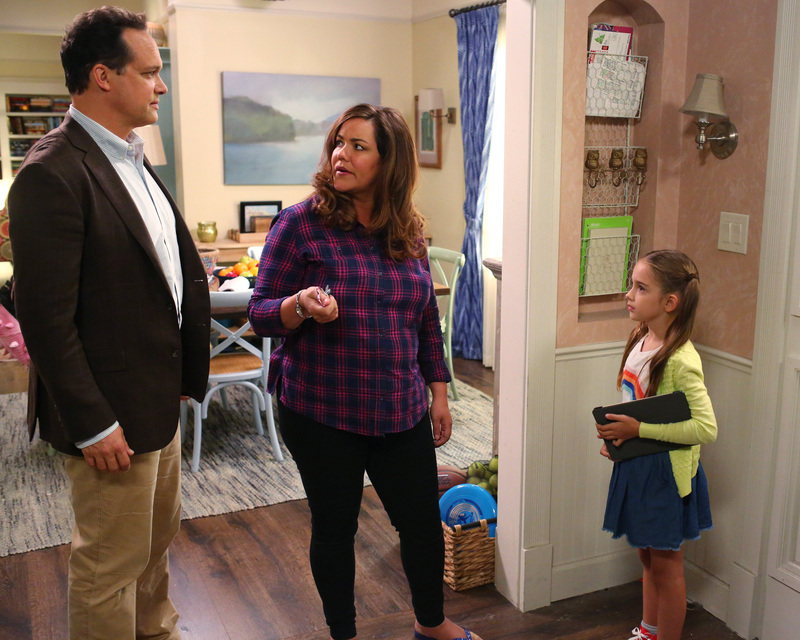 American Housewife: "Back to School" – Katie's efforts to get more time for herself backfire when she is forced to mend fences with the Westport moms by volunteering to run the school's spring gala. Meanwhile, Oliver proves to Katie that his passion for ballet is genuine, inspiring her to confront his belittling teacher and stick up for him. Taylor and Greg disagree over whether or not she needs to go to college while he teaches her how to drive, on the season two premiere of "American Housewife," airing on a new day and new time on WEDNESDAY, SEPTEMBER 27 (9:31-10:00 p.m. EDT). Designated Survivor: "One Year In" – In the season two premiere episode of ABC's hit drama "Designated Survivor," Kiefer Sutherland returns as President Tom Kirkman. Now, one year into office, Kirkman is a Commander-in-Chief determined to rebuild the Capitol and capture the terrorists behind the catastrophic attack on the United States. When Ukrainian nationalists hijack a Russian Air flight, the president is faced with a hostage situation in which his diplomatic skills are put to the test, on "Designated Survivor," airing WEDNESDAY, SEPTEMBER 27 (10:00–11:00 p.m. EDT). If you can't wait until Wednesday for some fresh laughs, The Mayor Episode 1 is now playing! Yes, watch series premiere of The Mayor online free right here before it airs on TV. Young rapper Courtney Rose (Brandon Micheal Hall) needs his big break. For years, he's toiled away making music in his junk-filled bedroom closet. Tired of waiting for opportunity to knock, Courtney cooks up the publicity stunt of the century – running for mayor of his California hometown, Fort Grey, to generate buzz for his music career. But his master plan goes wildly awry, ending in the most terrifying of outcomes: an election victory. Lea Michelle co-stars. News Watch Round 1 of the 2019 NFL Draft LIVE right now!